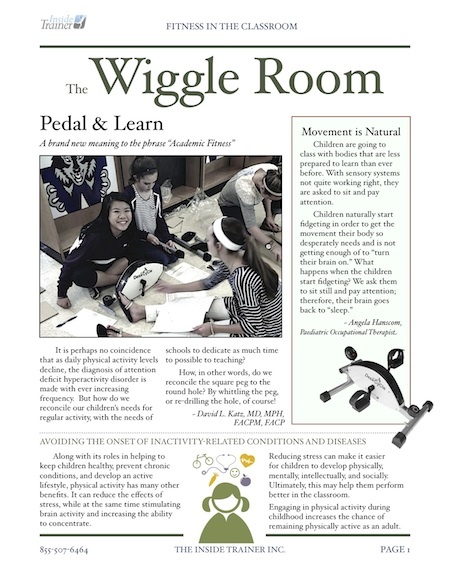 DeskCycle™ Schools – The Inside Trainer Inc. The DeskCycle is small enough to fit under the desk so it won't take up valuable classroom space. Compact and top quality, the DeskCycle lets you pedal to get the blood pumping to your legs and heart. This helps to get the wiggles out. DeskCycle uses the patented magnetic resistance components for a greater range of resistance settings. Made of heavy-duty parts and top quality housing.